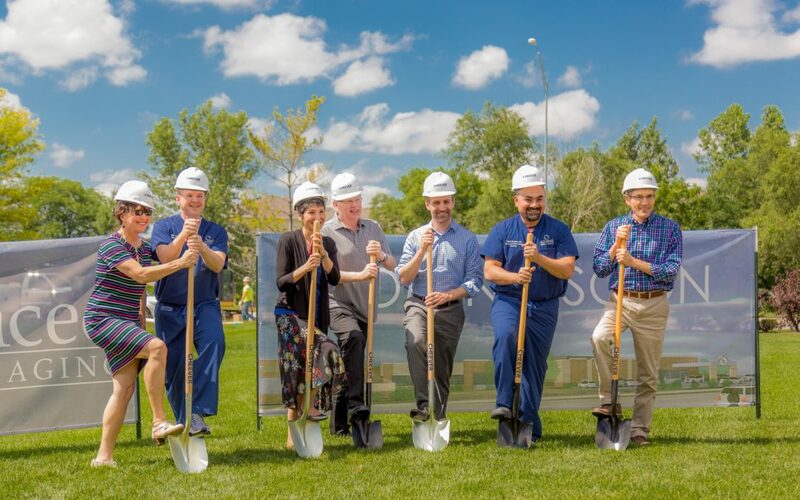 On Tuesday, June 26th, Advanced Medical Imaging (AMI) hosted the groundbreaking ceremony for the ambulatory surgery center that will be built adjacent to the current AMI imaging center at 7601 Pioneers Blvd. AMI executive board members, including Nebraska Medical Association’s 2017 Physician of the Year, Kim Coleman, spoke about how the new facility will benefit Lincoln and the surrounding area. Jessica Shultis, Miss Nebraska 2018, works as a manager at the imaging center and spoke about her positive experience at AMI and other local medical facilities during her previous bouts with cancer. The 10,000-square-foot addition will be connected to the 24,000-square-foot full-service imaging facility that opened in 2001. In April, the Lincoln-Lancaster County Planning Commission approved the multimillion-dollar expansion and Cheever Construction won the general contracting bid to see the project through. According to a June 11th New York Times article, the cost of the same procedure on the same patient by the same physician can vary by thousands of dollars depending on whether it’s performed in a hospital, a hospital’s outpatient department, an ambulatory surgical center or a doctor’s office. New technologies are making outpatient care safer, and new payment models are encouraging a shift to lower-cost settings (Khullar & Frakt, 2018).